Language and digital content management vendor, SDL, is selling off its social intelligence, campaign management and ecommerce optimisation platforms. SDL will now refocus on its language translation services and technology products, which come under the banner of Web content management and documentation. The social intelligence, campaign management and ecommerce offerings (Fredhopper), all of which were acquired over recent years, will be sold off. SDL’s executive chairman, David Clayton, told CMSWire that the company put the wrong salesmen on the wrong opportunities, which led to poor win rates, leaving the company in a never-ending game of catchup with rival players such as Sitecore and Adobe. Clayton also said SDL’s messaging was too oriented towards a suite approach, rather than going to market with point-based customer experience management solutions. Last week, SDL reported a loss before tax of £25.2 million for the year ending 31 December 2015 off revenue of £266.9m. Global technology company, Pitney Bowes, has brought out its new Single Customer View software solution, aimed at helping organisations design, deliver and evolve contextually relevant views of their customers in real time. The software sets out to unite interactions from all channels of engagement, including systems of record and digital insights, and link these with an existing customer profile in order to uncover timely and actionable insights. The solution is powered by the vendor’s new Spectrum Technology Platform v11, which lies underneath its customer analytics and master data management capabilities. Key features include big data cleansing and matching capabilities. Social media management platform, Hootsuite, has acquired Sales Prodigy, a mobile app built to help sales organisations tap into social selling opportunities. According to the vendor, the deal allows Hootsuite customers to quickly find social selling opportunities and start conversations with prospects and customers in real time on social media. Sales Prodigy was previously part of Hootsuite’s App Directory ecosystem. "Many organisations have invested in social marketing and social support, but there's a big gap in the market for social selling solutions, and we want to address it," said Hootsuite VP of corporate development, Matt Switzer. Netsuite-owned commerce marketing automation vendor, Bronto Software, has launched its Browse Recovery and Predictor apps, which it claims will help marketers better engage customers through targeted messaging. The two tools allow marketers to pull all product catalogue data into Bronto’s marketing platform and automatically access product data when building targeted email and SMS messages. The apps track online shopper activity and translate the data into segmentation and product recommendations that can be used by marketers for further customer interactions. Key features in the Browse Recovery App are trigger targeted marketing messages based on recently viewed products or categories; page browser activity capturing; configurable trigger rules so users can control who and how often customers receive targeted messages; and centralised reporting. The Predictor app is focused on sending targeted product recommendations and includes quick import functionality for existing product feeds into the Bronto platform, recommendations on emails, and the ability to integrate recommendations into messages. Collaboration messaging app provider, Slack, has opened its new Asia-Pacific headquarters in Melbourne on 31 March. The vendor said it will create 70 new local jobs to support customers in this region, a list that includes Telstra, REA Group and Seek. The new office was opened by Slack co-founder and CEO, Stewart Butterfield. “Melbourne has been incredibly welcoming and offers a wealth of talent, which made choosing the city as our Asia Pacific headquarters an easy decision,” he said. San Francisco-based Slack has raised US$340 million to fund its global expansion plans since launching two years ago, and also maintains offices in Canada and Ireland. It boasts of 2.3 million daily active users and $64m in annual recurring revenue. Another vendor, this time on the machine learning side of things, also opened in Australia this month. Intelligent machine learning startup, Adatos’ new local office is headed by David Perez and Paul Dovas and is focused on supporting the A/NZ markets. The group’s technology analyses structured and unstructured data in order to recognise patterns and extract predictive insights that can help with problem solving and business decision making. The deep learning technology originates from the US intelligence community, where it was used for national security and counter-terrorism, which Adatos claims makes its more advanced that many other machine learning analytics methods out there in the market today. Core industry segments for Adatos include retail, marketing, banking and finance, biotech, telecommunications and electrical energy. B2B sales and marketing platform vendor, EverString, has integrated its artificial intelligence-powered platform with Microsoft Dynamics CRM Online. The US-based vendor claimed the new integration helps users optimise the prospect-to-customer journey by enabling sales and marketing teams to prioritise existing prospects and also identify net new, high-quality leads. It does this by using more than 20,000 external signals and applying data science, machine learning and artificial intelligence to find and analyse patterns in the pipeline of all prospects and customers recorded with the CRM platform. The ideal customer model is then applied across the prospect database, giving each prospect a priority score. Media intelligence player, Meltwater, has acquired Encore Alert, a software-as-a-service platform that taps artificial intelligence in order to sift through social information for marketing and PR activities. Encore Alert uses a proprietary algorithm to sort through billions of social posts and identify trends, track interactions with important influencers, and build industry intelligence. The platform then sends alerts about top priority conversations. “By integrating Encore Alert’s proprietary technology into our social offering, we will be even better positioned to help our 24,000 global clients accelerate their follower growth, increase engagement, drive referral traffic, and protect their brand reputations,” said Lyseggen. A new app is claiming a first by giving brands and users the ability to create Q&A videos on the fly. Qanda takes a written question and pairs it with a video answer in a video player that can be shared on any website. The app developers claim that while it hasn’t been specifically created for brands, the app could be a good way to answer questions from consumers while create brand content. Users punch in a question and send it to a specific user either on Qanda, social or messaging apps, or via email. The respondent films a 30-second answer while is then bundled together and is shareable. Users can also endorse a question, ask an open answer that a group can answer, or film an answer directly in a box pop. CRM vendor, Maximizer, has offered up a new product integration that unites its offering with MailChimp’s campaign management platform. 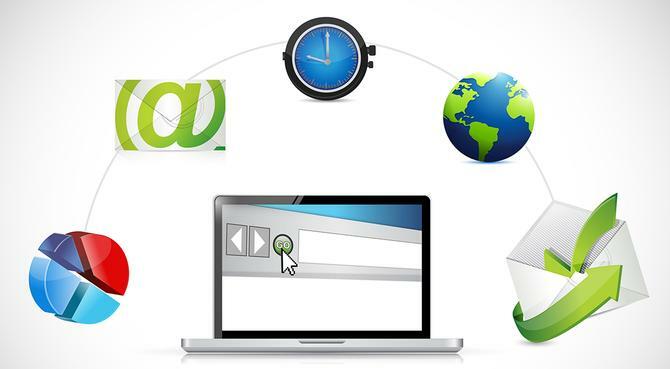 Maximizer Connect supports two-way contact data synchronisation between the CRM platform and MailChimp, as well as customisable sync timeframes and mapping of custom contact fields between the two tools. The vendor said this will allow marketers to keep campaign data in sync and deliver visibility into MailChimp campaigns from within Maximizer. The integration also brings split-testing functionality, templates and tracking in MailChimp to Maximizer users.